English Civil War articles, discussion, resources, maps, timelines and events | englishcivilwar.org: National Civil War Centre to open this weekend! 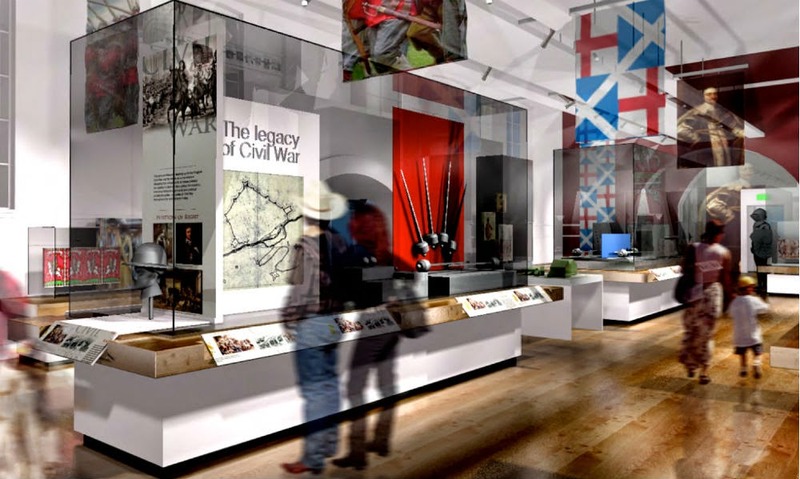 National Civil War Centre to open this weekend! Artist's impression of some of the displays. The new £5.4m National Civil War Centre in Newark is set to open in the Grade II* Old Magnus Building this Bank Holiday weekend (3-4 May), with nearly 1000 re-enactors gathering to commemorate the deadly sieges of the 1640s. Over 360 years after the end of the British Civil Wars the UK's first centre dedicated to recounting this epic clash is launched in Newark on 3 May. 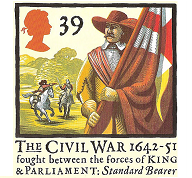 The explosive conflict from 1638 to 1653 began in Scotland and ended in Ireland with the iconic battles of Marston Moor and Naseby and three sieges of Newark in between. A King was executed, England became a republic and five percent of the population died. It was the bloodiest episode in British history revolving around struggle between monarch and Parliament. Yet for many this founding episode of our modern state is a mystery. That's set to change with the unveiling of the £5.4m National Civil War Centre by Newark and Sherwood District Council, backed by £3.5m from the Heritage Lottery Fund. Expected to attract 60,000 visitors annually it is housed in the Grade II* Old Magnus Building, built in 1529 as a boys free grammar school. The Old Magnus Building has been revitalised by a two year restoration project which saw the Tudor roof stripped back and large scale structural work undertaken. Along the way rare graffiti dating from 1608 was discovered penned by naughty school boys – including an R Disney, thought to be an ancestor of Walt Disney of movie making fame. 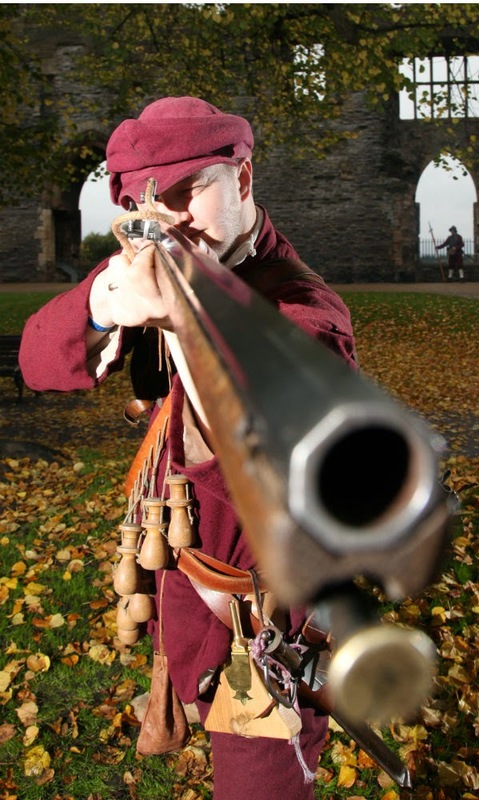 To mark the opening nearly 1,000 civil war re-enactors will invade Newark over the Bank Holiday weekend (3 and 4 May) in the biggest event of its kind ever staged. Newark's castle will come under attack and the Queen's Sconce earthen fort – the best of its kind surviving in Europe – will be disputed by Royalists and Roundheads, aided by their Scottish allies. “So much about our modern state was forged in the fires of the civil war that it beggars belief that until now there has been no national centre recounting these events. So it's a milestone moment to open the UK's first ever National Civil War Centre. It's also the culmination of a great deal of hard work and support from partners including the HLF. Historic papers which survived the tumult were recently discovered in Newark, including 17th century accounts, petitions and bills. They shed light on the suffering of local people, a third of whom died during the final siege. We know how much it cost to have a doctor examine a plague victim and the price of medicine sold as a 'cure'. 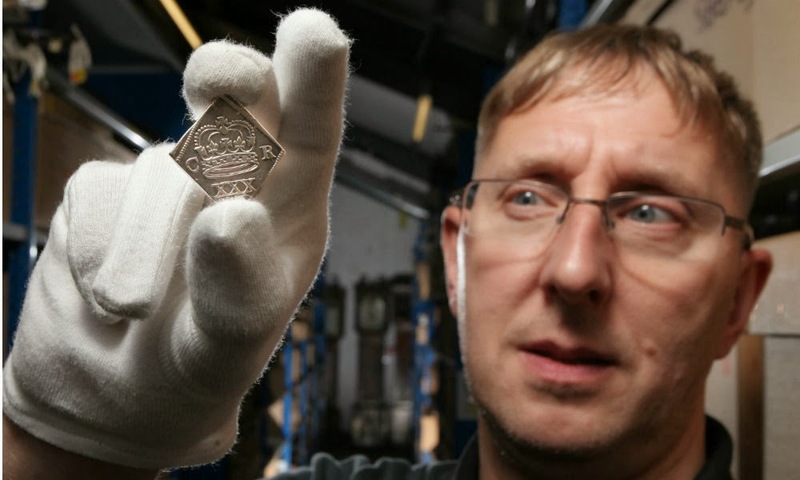 Fascinating artefacts, such as the buff coat worn by Nottingham-born Frances Hacker, who accompanied King Charles I to the scaffold, and the battleplan used by Newark's Royalist commanders, combine with hi-tech displays and a ground-breaking smart phone app, to propel visitors back in time. The civil war theme extends to a major exhibition being unveiled in the National Civil War Centre by the Magnum Agency, jointly founded by famed war photographer Robert Capa in 1947. Striking photographs from recent civil wars and their manipulation for propaganda purposes offer intriguing parallels with Britain's own experience 350 years ago. “This has been an incredible project to be a part of, from beginning to end. It has thrown us some challenges, but that always happens with old buildings. As we’ve uncovered the building, the level of heritage and conservation work we have needed to undertake has grown and we’ve had to react and respond to what we have found. Newark's wider heritage is also showcased in the new museum including a magnificent Iron Age torc, exquisite Anglo-Saxon gold cross and the Byron Press, used to print the first works of the poet Lord Byron. A siege coin discovered in Newark. Located on the River Trent and at the crossroads of the Great North Road and Fosse Way, Newark held huge strategic importance. Parliamentarian forces and their Scottish allies were desperate to oust the Royalist garrison. The last siege saw over 16,000 troops seal off Newark from November 1645 to May 1646. An outbreak of typhus and plague added to the town's woes as the population swelled to 6,000, creating near starvation conditions. A third of the inhabitants died and one in six buildings were destroyed. Despite this calamity, the Royalist garrison refused to surrender. With his fortunes at breaking point, a disguised King Charles escaped from his make-shift capital of Oxford and made contact with the Scottish army assailing Newark. By surrendering to the Scots he hoped to drive a wedge between them and their English Parliamentary allies. But they insisted that Newark must yield immediately. The King ordered the loyal garrison to lay down its arms. Half starved and disease ridden, 1,800 Cavaliers marched out, leaving behind 12 artillery pieces, including a cannon known as “Sweet Lips”, from the Parliamentary stronghold of Hull, captured during Newark's second siege and named after a prostitute who catered for both sides. Newark's capitulation signalled the end of what is often called the First Civil War – within three years King Charles was executed by Parliament.